Check it out: These tap dancers eagerly worked it out to Dave Brubeck’s Unsquare Dance, a great jazz piece in 7/8 time signature. Because counting to 8 is so “square.” At BDX Studio we put the groove in your tap moves. Come experience something different. Challenge your brain. Learn how to get unsquare! Visit our Toronto dance studio and get your tap dance on. Even if you haven’t been tap dancing in a while, BDX is the best way to meet other tap dance lovers. Like yourself. 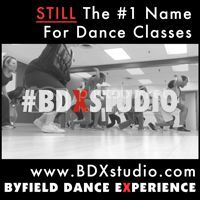 Plus, get on the GUESTLIST and your first tap dance lesson at Byfield Dance Experience is completely free. Click Here For An Inspiring Tap Dance Class In Toronto!